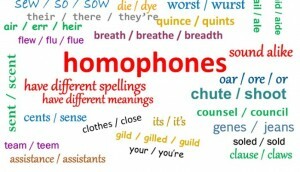 Yes, it’s Tuesday, and that means another edition of the Tuesday Tricksters, words called homophones that sound the same as another one (or nearly so, anyway) but mean something different and are spelled differently. They make many writers nuts because when we’re writing we may type a word that isn’t the one we meant, and spell check will not help! We need to be vigilent, especially when writing here on LI or any platform that doesn’t have spellcheck, auto correct, or grammar check. Lead (v.): When pronounced “leed,” it means to be up front, to be a leader, to show others what to do; to guide. When it’s pronounced “led,” it changes from being a verb to a noun, and it refers to a heavy, soft, flexible metal. See the next word for more. Led (v.): This is the word we often misuse because we may think that “lead,” which CAN be pronounced “led,” is what we want. But if we’re writing the past tense of lead (the verb), it has to be spelled led. Carol will lead (leed) the parade tomorrow. Carol led (not lead) the parade last year, too! Lead-based paint needs to be handled very carefully. Lede (n.): (US, journalism) The introductory paragraph(s) of a newspaper or other news article; (now chiefly UK dialectal, singular) a man or person; (chiefly UK dialectal, Scotland, collective plural) men, people, folk; (UK dialectal, Scotland, singular) a people or nation; (now chiefly UK dialectal, plural) tenements, holdings, possissions. Leaf (n.): A part of a plant or tree attached to the stem or branches; (v.): To produce leaves; put forth foliage: trees just beginning to leaf; to turn pages, as in searching or browsing: leafed through the catalog. Are any of these new to you? I’d heard of lief, but I couldn’t have defined it without consulting a dictionary if my life had depended on it. And I wasn’t familiar with li or lieder at all. And for more definitions of these and other words, check out www.yourdictionary.com, which contains definitions from four or five dictionaries, so you can find ones that make sense to you. Do the associates in your company look and sound as smart as they are? They would if they could take one of my Brush Up on Your Skills workshops right where they work. If your company hires outside experts to teach any topic to its associates, please share my posts and website with your Human Resources or Training Manager. Are you a member of an association or other group that is looking for a speaker for one of its meetings? There are a lot of communication-based topics that could be perfect for a light-hearted and interesting presentation. 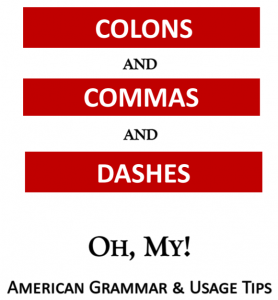 I offer free generic Brush Up on Your Skills workbooks in a pdf format in American grammar, business writing, and interpersonal skills. They show what I teach in my three-hour corporate classes. Want one? Let me know which one you want, and please send me your e-mail address.